18 Cadence — players rearrange objects and narrative elements to construct their own stories. I talk about it more here. First Draft of the Revolution — my own, so take the recommendation with a grain of salt, but it’s an interactive epistolary novel in which the player revises the letters between characters before sending them. This tries to get at some of the internal experience associated with choosing your words carefully, and the reasons the characters might want to be honest, assertive, crafty, vague, etc. 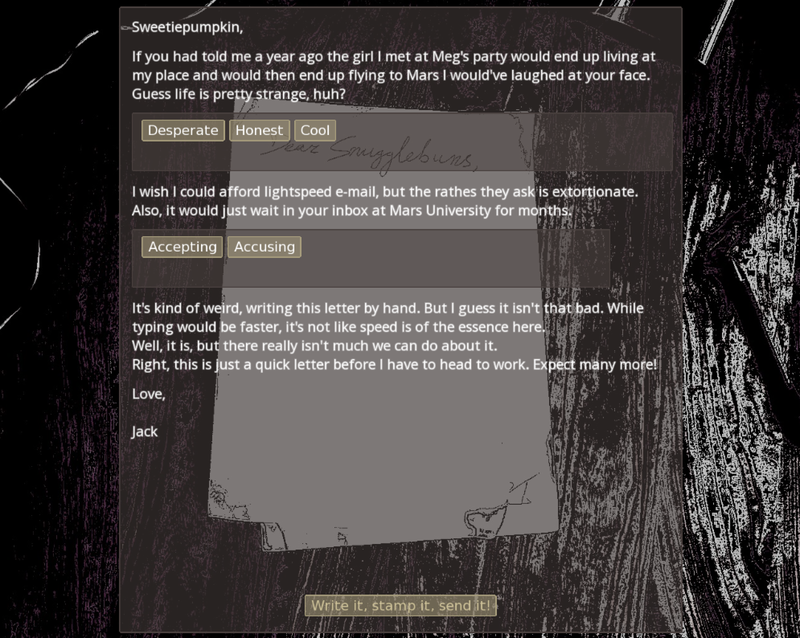 13 Minutes of Light is also an interactive epistolary story, this time in Ren’Py: you are a man in a long-distance relationship with a woman who has gone to work on Mars, and can communicate only by physical letter. I found it implausible that physical letters, with their attendant mass, would actually be cheaper to send to Mars than other forms of signaling — but that’s the premise, and it allows the interaction to spool out over long periods of time. 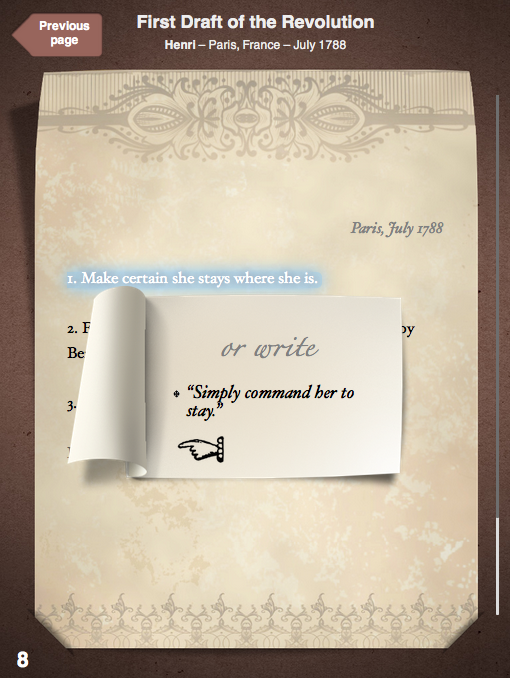 Over the course of the game, you select which of several passages to include in your letters, and these provoke different reactions from the girlfriend — whereas First Draft is more about exploring character mentality, 13 Minutes of Light is changing stats based on what you say. I wish it were a bit longer: it feels like the points of conflict between the protagonist and his girlfriend are only really starting to develop when the game ends, and I would have enjoyed exploring at more length. But as this was created for a game jam, its brevity is arguably not that surprising. Elegy for a Dead World — it’s explicitly about giving writing prompts and getting the player to fill them in: there’s no fixed story or characters at all. Finished stories can be shared with other players (an option 18 Cadence also offers), so there’s a sense of using this as a writing exercise for those who need practice, or a constrained creative tool. It doesn’t go as far for writing, I’d say, as Become a Great Artist in Just 10 Seconds does with art, but there is in both cases a sense of necessary limitation. Renga in Four Parts — interactive poetry that makes use of the player’s input to guide how the poetry comes out. Pale Blue Light — alternates parser and freeform input and reuses some of the freeform input text in an interesting way towards the end of the story. This is definitely a limited effect rather than something that runs through the whole piece, but I thought it was interesting. Al Otro Lado — a not-very-well-loved trad parser game that asks the player to come up with the room descriptions, while the game spits out common commands. It’s a cool concept in theory, but in practice demands a lot of the player without delivering that much in return. 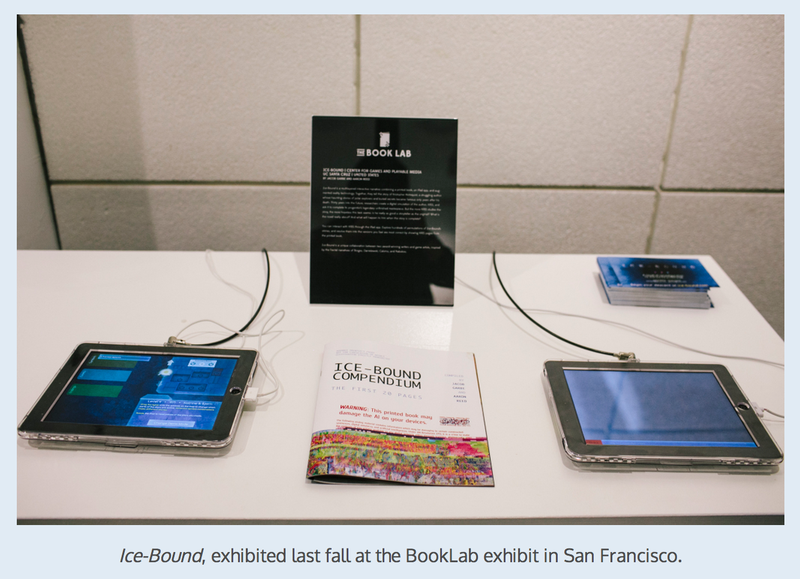 Ice-Bound — maybe not surprising that this is also an Aaron Reed co-production, but it’s partly about helping an AI piece together a novel, by placing different symbols and concepts into the story space. The symbols allow the player/author to help decide on the theme for the work as well as specifying which actual events to make happen. It’s possible to see the short-term effects of your decision before you lock it in, which invites playing with different plot threads before settling on any one direction. Both Framed and Strip ‘Em All are comics in which the player moves panels around in order to achieve the desired outcome. These are narrative puzzles: for the most part, you don’t get to change what happens so much as unlock the one correct reading. 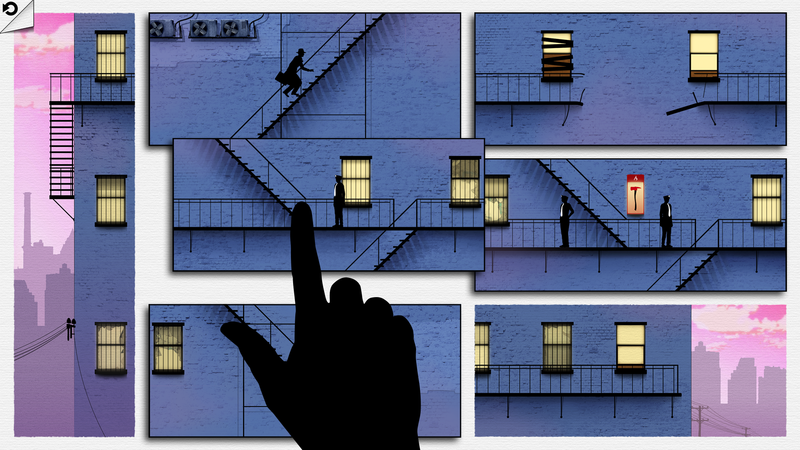 Framed also has the defect (at least, I think it’s a defect) that most of the puzzles are spatial challenges about getting one character not to catch another, which is so much less fun than what I envisioned happening with this mechanic. Storyteller — this is a long running work in progress by Daniel Benmergui in which the player can put objects into the panels, and the game will write captions to describe what must be happening. If the created narrative fits the pattern required by that level, then the puzzle is solved and the player can move on. This mechanic is more literal, for the most part, than the one in Ice-Bound: you’re not generally inserting “the concept of ambition” or anything along those lines, and even themes like “love” arise because you’ve combined two potential lovers in a frame. At the same time, it’s rather more flexible and expressive (most of the time) than the panel-moving mechanic of Framed and Strip ‘Em All. It’s not available to play yet, but Benmergui’s dev blog tracks what is going on with the piece, and he recently did a twitch broadcast demoing the gameplay. If we look to multiplayer, there’s also a co-authorial aspect to pieces like Barbetween or Ex Nihilo in which the game collects input from one player and then shows it to another player later on. This entry was posted in game lists, interactive comics, interactive epistolary, interactive fiction by Emily Short. Bookmark the permalink. “Sleep is Death” is an online two player game where one player acts as a character in a story which is being iteratively designed and updated by the second player. Control goes back and forth between them in 30 second turns, and afterwards the story can be exported as a comic. Yeah — I’ve heard really interesting things about this, but never had a chance to play it myself. But you’re right, it totally belongs on this list. This is an intriguing concept, and you link to many interesting games I haven’t heard of before. 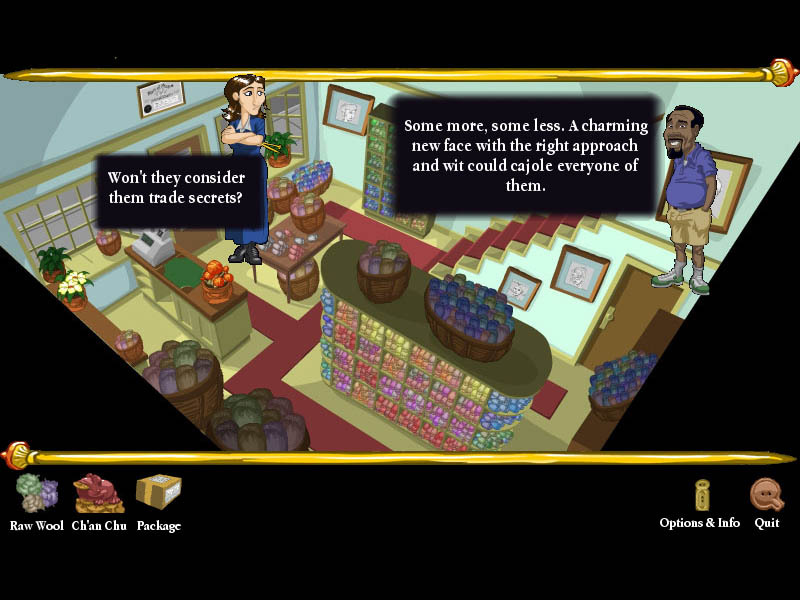 Might be an idea to link to Benmergui’s original “Storyteller” ( http://www.kongregate.com/games/danielben/storyteller ), published 2008. Presumably this is a much simpler prototype of the later game (I say “presumably” because I haven’t really been following the version currently in progress), but it’s still very original, and good for a few playthroughs.